Our elevator has taken on a new identity. 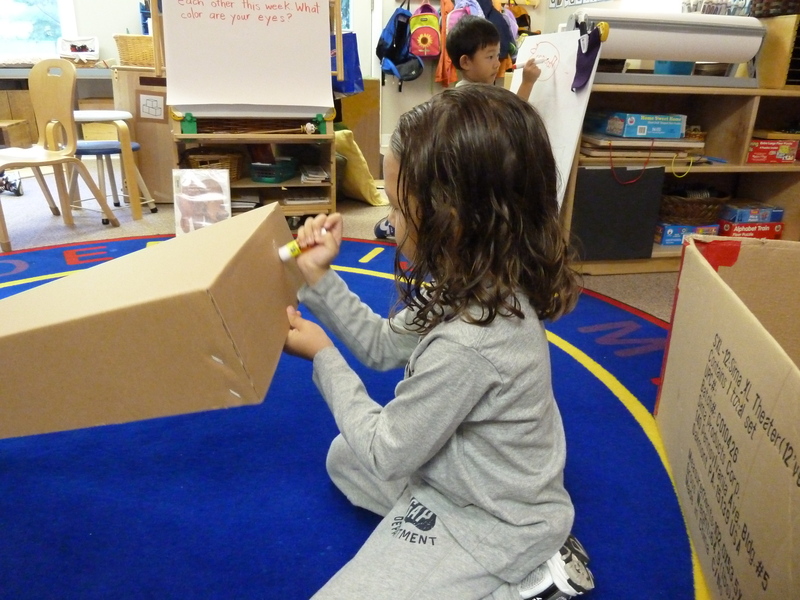 Due to the excitement generated by some of the children over upcoming and past experiences on airplanes, our dramatic play center was transformed into an airport today. The old elevator was flipped down onto its back and christened a plane. So far, we have a steering wheel and a horn. Some fabulous boxes are perfect for wings, but as of yet, we haven’t decided the best way to attach them. Though I have an idea of my own, I’m letting the children try to come up with a workable plan for this massive undertaking. So far this morning, we’ve tried glue sticks (it fell off), a suggestion of super glue (we don’t have any), and tape (it was placed sticky side down on the wing alone). I’m looking forward to watching the direction this project will go. 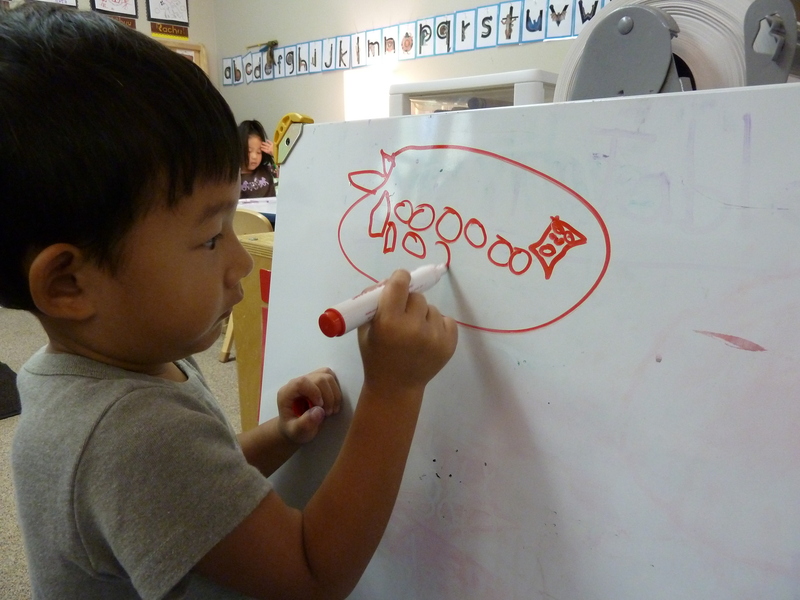 Already, other children have noticed that the wing problem is a bit tough and are starting to offer suggestions.